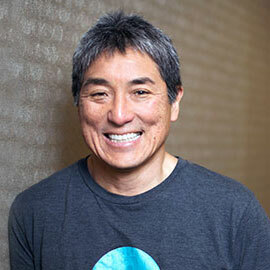 Guy Kawasaki wears many hats: tech founder, marketing guru, speaker, and author. He has spent his life investing in and learning about leading and growing a company. He recently presented at an event in Vancouver hosted by the Lazaridis Institute’s Scale-Up Program, where he shared what he believes are the top ten mistakes entrepreneurs make and what they should be doing instead. As the chief evangelist of online graphic design tool Canva, a former Apple fellow, and the founder and managing director of venture capital firm Garage Technology Ventures, Kawasaki has seen and experienced decades of successes and stumbles in the area of entrepreneurship. He feels today’s ecosystem is a much better environment for entrepreneurs, that the barrier to try is lower. “Take your best shot. If you win, you say ‘I knew it!’ If not, no one cares,” he said. However, Kawasaki acknowledges it’s still tricky for entrepreneurs to make decisions on what the right thing is to do for their business. “From a great product, everything else flows. It’s all about the product,” said Kawasaki, who admits a company can fix marketing much easier than a flawed product. Kawasaki stressed the importance of selecting the right people for entrepreneurs to surround themselves around: “Hire to compliment you, not duplicate you.” As for board members and mentors, Kawasaki urged all entrepreneurs to “tap them more.” He confessed he’s never been asked too much from the companies and founders he advises, rather this wisdom is more often under-utilized. What is his biggest lesson? Focus on sales. “Sales fixes everything,” said Kawasaki, who warned the crowd against forming partnerships as a means to get revenue. Following the keynote, Vancouver entrepreneurs and members of the tech community had the opportunity to network with the Lazaridis Institute and its inaugural cohort of the Scale-Up Program. The Scale-Up Program, launched last fall, gives 10 growth-stage Canadian tech companies access to an elite group of experts, long-term support from customized mentors and an international network who are helping them scale globally.